Fun Week. Keep Coaching to minimum, let the kids play! Octopus- Have two defenders rest of the players have a ball, players try to dribble to other side without getting ball taken away. If defender wins ball, that player must stop in the spot they got tackled at and cant move. those players can only win the ball moving one step to the left or right. Soccer Bowling Focusing on Passing Technique: Have 4-5 different levels of three cones each one farther than the previous. Players begin by the ball trying to knock over cones. If player knocks over a cone they can move to the next set of cones. 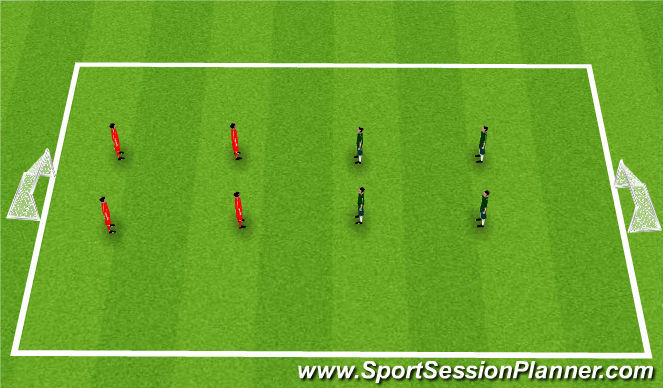 If player misses the must retrieve their ball and go to the back of the line. get to the end wins. 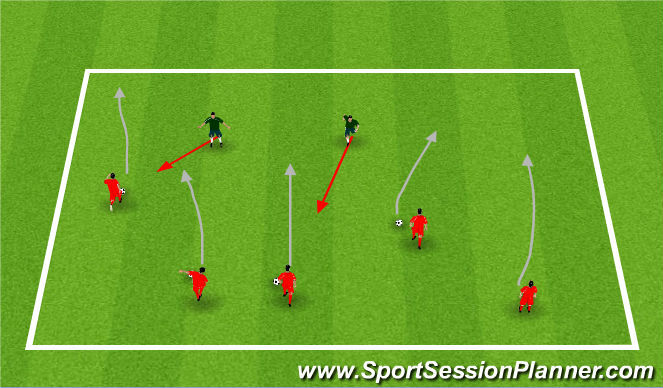 Have one partner shooting and one partner behind cones to retrieve ball. Coaching points: Inside of the foot to pass. Hit the middle of the ball. Follow through the ball to your target. 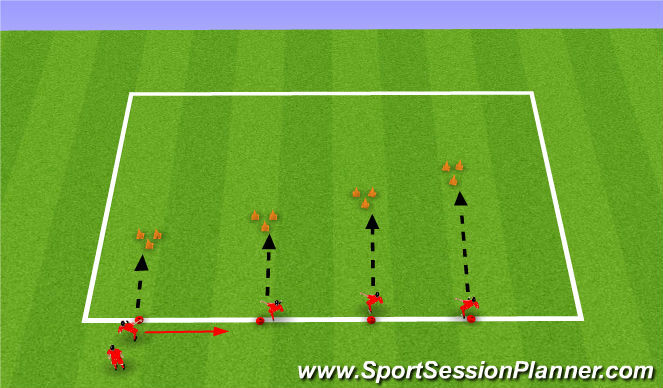 Organization:Set up multiple lines of 3-4 cones 2 yards apart in a zig zag pattern. 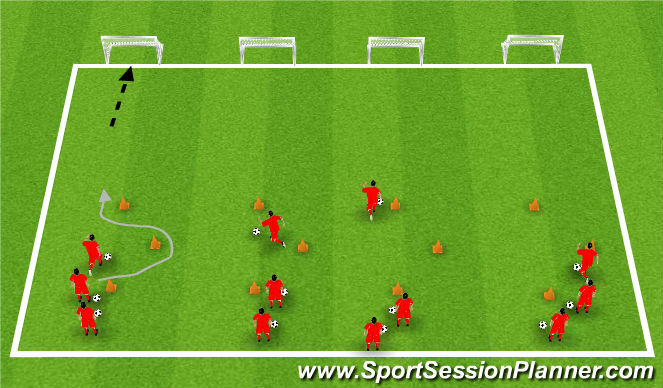 1 net 10 yards away from cones.Procedure: Players dribble though cones then shoot on goal. Once the player has shot on net the next player can begin.Progression: right foot only, left foot only while dribbling. Finish with dominant foot, finish with non dominant foot.Have races at the end. Coaching points: Keep ball close while going through cones. Laces or inside of foot to finish on net.